On a dark and freezing Monday morning in the middle of December, the people of Scotland awoke to good tidings. An upcoming trend in the world of comfort that had been identified by VisitScotland that would soon – for a price – make them feel cosy, snug, secure, and ultimately, fulfilled. This exciting development even had a (probably) lilting Gaelic name: Còsagach. While I am a Gaelic speaker and writer, I am ready to admit that my knowledge of the language, like my knowledge of English, is not all encompassing. So I was relieved to learn, when I tweeted about this strange term, that I was not the only Gaelic speaker unfamiliar with it. VisitScotland are clear in their opinion that this is the Gaelic equivalent of Hygge – the Danish concept that we are assured has no English equivalent but is essentially a weaponised form of cosiness. It is painfully obvious that someone in VisitScotland has looked up “snug” in an English-to-Gaelic dictionary and have struck upon Còsagach. They are now encouraging others in the tourist sector to use this term and a glance at the Còsagach hashtag will confirm it is already taking off. Who has dedicated this word? Indeed, how do you go about dedicating a word? It sounds like the sort of thing that would involve a ceremony and perhaps a ribbon-cutting. Were there nibbles and champagne? I’m starting to feel affronted that I wasn’t invited. I name this ship Còsagach. May God bless all who try to understand her. This isn’t how language works. Marketing teams– not even those who calling themselves, with no hint of self-awareness, Insight Departments – don’t get to “dedicate” a word from a living language even if that word has fallen into disuse. Equally revealing is the fact that they shy away from making the claim that this is a Gaelic word at all; it is “a word of Scottish origin”. Indeed the document makes not a single mention of Gaelic. This is the cake-and-eat-it school of semantic; they want the authenticity associated with Gaelic but without having to prove that the term is actually in use. The report continues in the same unfortunate vein: “Scotland is a country where Còsagach can be achieved in all seasons…” If they had read the whole of the dictionary entry they lifted the term from, they would have learned that Còsagach is an adjective, not a noun as they are using it here. So what does Còsagach actually mean? Of the dictionaries I have found it in, not one describes it as only meaning cosy and snug. Còsagach does appear in Edward Dwelly’s dictionary, but even there the primary definition, suitably enough, is given as “full of holes or crevices”. As great as Dwelly’s dictionary is, it was first published in 1911, so it is not an accurate reflection of contemporary usage. VisitScotland could have picked a term from an English dictionary of a similar vintage and found as few people understanding it as Còsagach. The implication behind their thinking is clear: Gaelic is inherently archaic and no one uses it. Or no one who uses it matters. If all words in Gaelic are obscure to you then how can you tell which are obscure to speakers of the language? Even if this term were still widely used, no Gàidhlig speaker would have recommended it for this use due to its proximity to less appealing terms. It seems to share the meaning of Còsach but as Dòmhnall Iain Dòmhnallach pointed out it’s connotations are less pleasant. Indeed a “corra-chòsag” is a wood-loose. If squidgy, damp and lousy are really the vibe VisitScotland are going for with their version of Hygge, then their opinion of the Scottish tourism sector is even lower than mine. Any publicly funded body has to treat all national languages of Scotland with the basic respect that a living culture deserves, let alone one which they are paid to present to the world. Linguistic tourism is a growing sector and Gaelic is drawing more visitors to Scotland every year. It is a shame that so many of our guests have a greater respect for one of our native languages, than those paid to promote our country to the world. While this might seem a minor gripe, such actions have potentially damaging consequences. There are many thousands of Gaels who were, and continued to be, denied an education in their own language. As a result many feel insecure about their Gaelic literacy skills. Trumpeting obscure terms like Còsagach could well compound that insecurity. It’s not difficult to imagine such people thinking: if I’ve never heard of this term then my Gaelic can’t be very good at all. Especially when it is being promoted by what should be a dependable source of expertise on all things Scottish. The fact that VisitScotland are clearly not worried they might get pulled up on this is the most disappointing. They must think that there was no chance of anyone correcting them. But the Gaels are still here, as inconvenient as that may be for some people. If you are going to riffle through my pockets because you think I’m dead, at least have the sense, if not the courtesy, to check my pulse first. Me and a pal were actually haein a good long blether last night about this idea. Scotland absolutely has a comparable but unique cultural response to darkness, rain and adversity. It lies in the mountain culture, the snug bars, the muckle hearty bowls of cullen skink and stovies, salty porage and faces reid fae the cold. There is something pretty special and deep in that, which we enjoy but is not easy to explain, and does make the lived experience here unique. Defining this and using it in a Visit Scotland campaign would actually be great. Glè mhath – deagh artaigil a Chaluim. Amazed at VisitScotland’s blatant ‘ invented cosiness’. On the other hand, maybe we should give them credit for re-aquainting ‘Scottish’ with ‘Gaelic’? Good article. Indeed the first image that came to mind when I chanced upon a visit scotland promotion using còsagach was “wasps coming out of còsan in the ground”. Then I thought, hmm, spongy. Then when I saw the adjective “snug” that this word supposedly represented, I thought “why the hell didn’t they use seasgair”! The Gaelic word ‘còs’, whatever its origin, means a crack, crevice or other small space. The ‘-ag’ makes it diminutive, i.e. ‘a tiny crack’ and the ‘-ach’ forms an adjective meaning variously ‘full of little cracks’ or ‘having the character of a small crevice’. Moreover, the Gaelic word seems then to have developed associations with the sort of damp cracks and crevices where leggittie biesties reside. A long way from comfort IMO! The nearest English parallel that comes to mind is the phrase “as snug as a bug in a rug”, but that indicates comfort, well for the bug at least, not dour dampness. Just type ‘cosy’ into the search box. How long did that take? Perhaps it’s the ‘wet’ folks at VisitScotland who need to crawl back into whatever damp crevice they crawled out of? Quite right, however we are still waiting on a ‘Scots Language (Scotland) Act’ some 12 years after your Gaelic Act. Aye, and there are millions of Scots who are, and continued to be, denied an education in their own language. As an aside, STV’s piece on this subject tonight had three invited contributors, two of whom were English and one Dane; funnily enough, the only one of the three with a Scots accent was the Dane. While I agree with your comment about Scots denied education in their own language, I don’t understand how this is relevant to this particular piece of writing nor do I understand the relevance of the accents of STV’s contributors. I, like many other Gaelic speakers, would support a Scots Language Act and don’t think it is at all helpful to pit one language against the other. The reality is that is took years of Gaels campaigning before the Gaelic Language (Scotland) Act 2005 was achieved and Bòrd na Gàidhlig formed – it didn’t happen overnight. Why not do the same for Scots? If there isn’t already one (I’d be very surprised if there isn’t), I’m sure such a campaign would garner much support without having to denigrate the success or importance of another Scottish language. I’m not clued up on what government support there is for Scots, but from a quick look at their website they appear to have a Scots Language Plan so hopefully with some some support we’ll see a Scots Language Act in the not too distant future. I enjoyed your article but it was slightly spoiled by a solecism that every schoolboy used to know: it’s is short for it is, not the possessive – belonging to it. Gaelic dialects written by someone similarly dedicated as the aforementioned Mr Dwelly but in the late twentieth century. Very true. The ignorance about the importance of the ancient languages is a terrible state of affairs and those who supposedly have Scotland’s best interests at heart must make sure this doesn’t continue. Language is the foundation of what it means to be a human being and without our languages we are in dire straits. ‘S toil leamsa ‘rongach’ – deagh fhacal Sgitheanach. Cleachdamaid rongach! 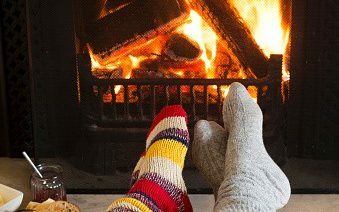 We have our own Hygge. It’s called Ceilidh. It has various meanings and intentions but it’s all encompassing and welcomes everyone. It’s tea & scones or a dram or several drams. A song and a line. A bit of craic. I don’t have Gaelic so I can’t comment directly in the poor choice of word but I do agree with them for coming up with the ‘equivalent’ because it’s something that we do well here. And it should be a thing. Not a version of the Danish but a tradition of our own. Let’s shout about that rather than copying other folks. Interesting. Someone must have been digging around in McLeod & Dewar where còsagach is not only defined as meaning ‘full of holes or crevices’ [from còsag, small crevice or cavern], as in Dwelly, (like a string vest maybe?) but also: ‘snug, warm, sheltered’. Cosagach, gun shrac, means ‘having or wearing a long coat or coats’ [from cosag – gun shrac – meaning a long coat]. Perhaps the srac is the problem and over the decades the two words had got confused or overlaid. On the other hand, McLeod & Dwelly made its initial appearance, I believe, around the 1860s, or perhaps earlier, which is a long way back to go for a word for which seasgair does the job admirably. However, in all honesty, I don’t know whether cosagach / còsagach is alive and well in one of out local dialects. The word Còsag Applies to a few houses in a Sheltered nook East of Kirkton on the S. [South] side of Glenmore. “Little Nook”. See historic records documented in https://scotlandsplaces.gov.uk/digital-volumes/ordnance-survey-name-books/inverness-shire-os-name-books-1876-1878/inverness-shire-mainland-volume-27/29. I hope this may throw some light on the usage of Còsag having a somewhat wider meaning than just a wee hole, and that it has a historic link to the concept of shelter. This evidence would appear to justify the interpretation of Còsag as cosy and snug. In short: you could have said ‘This is fake’ we are using the Gaelic language whilst not promoting it. I’ve never heard ‘Cosagach’ in my life. It’s not a ‘thing.’ Ach tha mi ag aontachadh leis a ‘ chorr. An do sgriobh thu seo Ann an Gaidhlig?